Linda Willey, RN, CDP, CADDCT, CFRDT -Program Coordinator After a successful nursing career in the areas of General Family Practice, OB, Cardiac Care, Acute Care Hospital, Home Health and Hospice, Linda was instrumental in the development of the first replication project of the UAMS Schmieding Home Caregiver Training Center during 2010 in Jonesboro. Mrs. Willey has been the lead instructor at the Jonesboro site since that time. 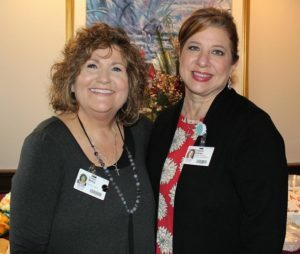 Her personal experience as a family caregiver, home health aide supervisor as well as other nursing roles have well prepared her for sharing practical knowledge with our students. Linda received her RN degree from Arkansas State University in Jonesboro. She holds a national certification as a Dementia Practitioner and Alzheimer’s Disease Dementia Care Trainer as well as a REST Volunteer trainer. These certifications in Dementia Care allow her to train first responders and other healthcare professionals about the specialized needs of Alzhiemer’s and dementia patients. In her role as site coordinator/primary instructor of the Schmieding program, Linda is committed to ensuring that her students are able to learn to the best of their ability and strives to provide family caregivers with the tools and knowledge they need to care for their loved ones. Valerie brings a rich history of Healthcare Marketing to our program with experience in business management, business development, advertising, and private home care agency management. 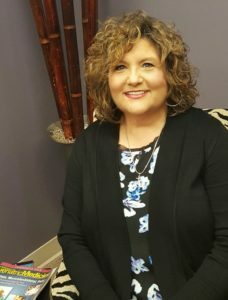 She is a graduate of Arkansas State University with a Bachelors degree in Marketing and is also certified as a Dementia Practitioner. With a passion for helping others, Valerie strives to build community awareness for our program, recruit new students, educate family caregivers and is an advocate for Alzheimer’s disease awareness and education.